1. $4000 Retail Premium Bonus Customer Cash, $500 Acura, Audi, BMW, Infinity, Lexus & Mercedes Conquest Bonus Cash- Customer must have leased/owned the competitive vehicle for a minimum of 30 days prior to the sale date of the new VIN. , 0% must qualify, must finance through Lincoln Automotive Financial Services. OFfer ends 7/5/17. 2. Not all buyers will qualify for Ford Credit Financing. Trade-In Assistance Bonus Cash is available to customers who currently own or lease a 1995 or newer vehicle who trade in or have an expiring lease up to 30 days prior to through 90 days after the sale date of the new vehicle. Customer must have owned or leased the vehicle for a minimum of 30 days prior to the sale date of the new vehicle. Not available on Raptor, Focus RS or Specialty Mustang Models and Super Duty F-Series. For all offers, take new retail delivery from dealer stock by 7/5/17. See dealer for qualifications and complete details. 3. *VIN 5LHUL24179 - 39 mo. 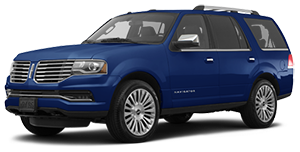 lease, 7,500 mi/yr to qualified leasee with tier 0-1 credit approval through Lincoln AFS. Due at signing: $375 first month payment, $0 cash/trade down, $0 security deposit waived plus tax, tags, & registration fees to qualified buyers. Lease payment includes all factory rebates to dealer. Expires 7/05/17. 4. Not all buyers will qualify for Ford Credit Financing. Trade-In Assistance Bonus Cash is available to customers who currently own or lease a 1995 or newer vehicle who trade in or have an expiring lease up to 30 days prior to through 90 days after the sale date of the new vehicle. Customer must have owned or leased the vehicle for a minimum of 30 days prior to the sale date of the new vehicle. Not available on Raptor, Focus RS or Specialty Mustang Models and Super Duty F-Series. For all offers, take new retail delivery from dealer stock by 7/5/17. See dealer for qualifications and complete details. 5. *VIN 2LGBL69633 - 39 mo. lease, 7,500 mi/yr to qualified leasee with tier 0-1 credit approval through Lincoln AFS. Due at signing: $537 first month payment, $0 cash/trade down, $0 security deposit waived plus tax, tags, & registration fees to qualified buyers. Lease payment includes all factory rebates to dealer. See dealer for details. Expires 7/05/17.